Thus it is not “the end” about to activate it is a final global cycle and the prophetic cycle that has foretold it. 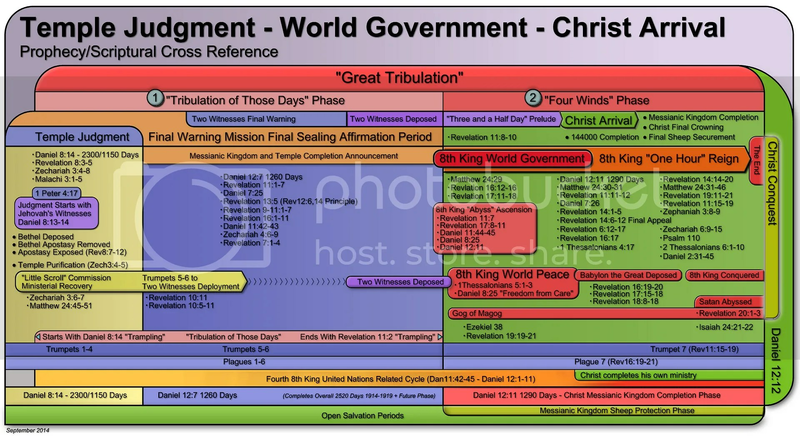 World government must complete just prior to Christ’s arrival. 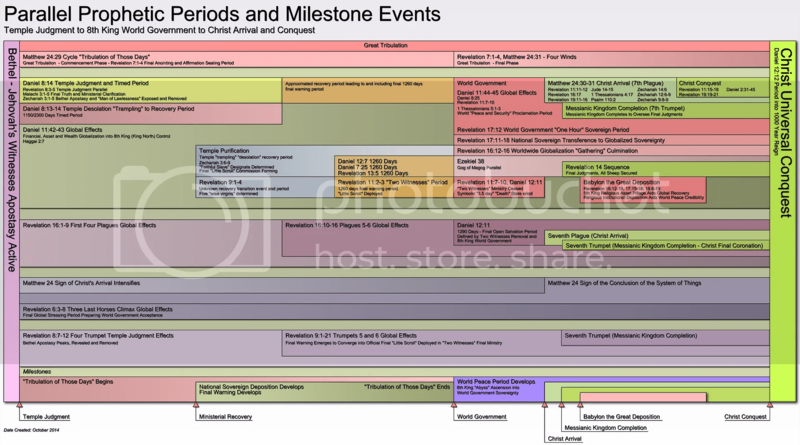 The first Jehovah’s witnesses ministry of 1914-1919 first “two witnesses” has the main replicating pattern that led to the League of Nation “image” of world government which merely completes that 8th King world government objective over the final cycle. 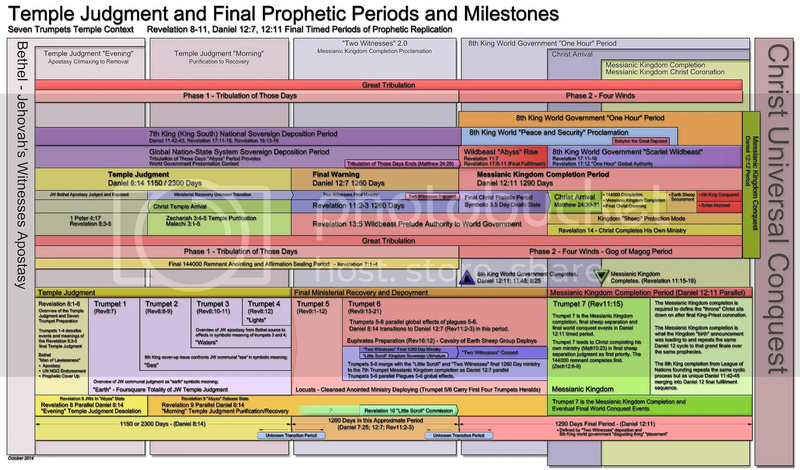 The reason the final cycle can be “predicted” before it occurs is because both the first prophetic and global cycle are merely repeating in exact form but to completion of the sovereign entities. 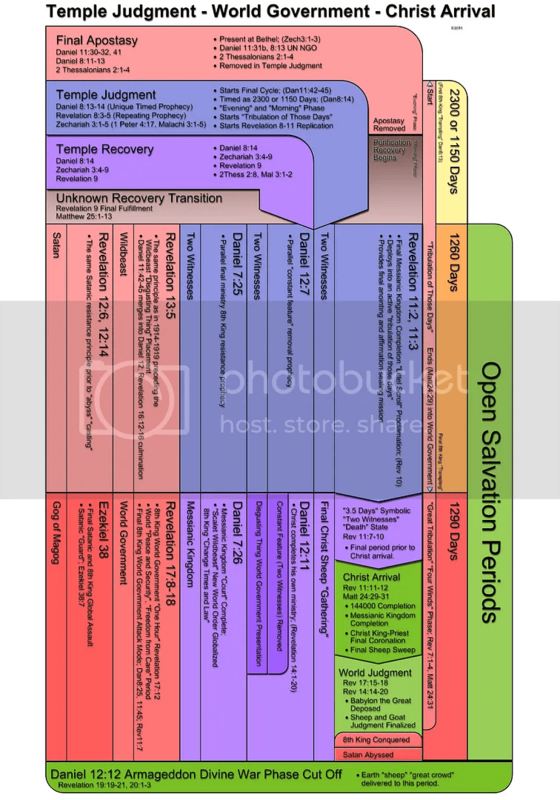 These graphics layout the unique temple judgment and prophetic replication portions that will activate with the Jehovah’s witnesses temple judgment.